Marine Vessel Fuel Delivery - Colonial Fuel & Lubricant Services, Inc. Colonial Fuel & Lubricant Services Inc.
Colonial Fuel & Lubricant Services, Inc. (CFLS) provides direct-to-vessel fueling services for our sister subsidiary, Colonial Oil Industries, Inc. Our fuel trucks are U.S. Coast Guard Certified for ex-pipe, truck and barge delivery. 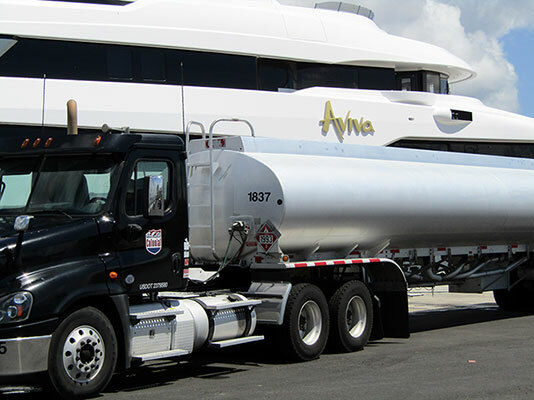 Our marine operation offers unsurpassed flexibility, with 24/7 dispatch service and centralized email ordering. This allows us to respond to a customer’s request swiftly, safely and accurately.